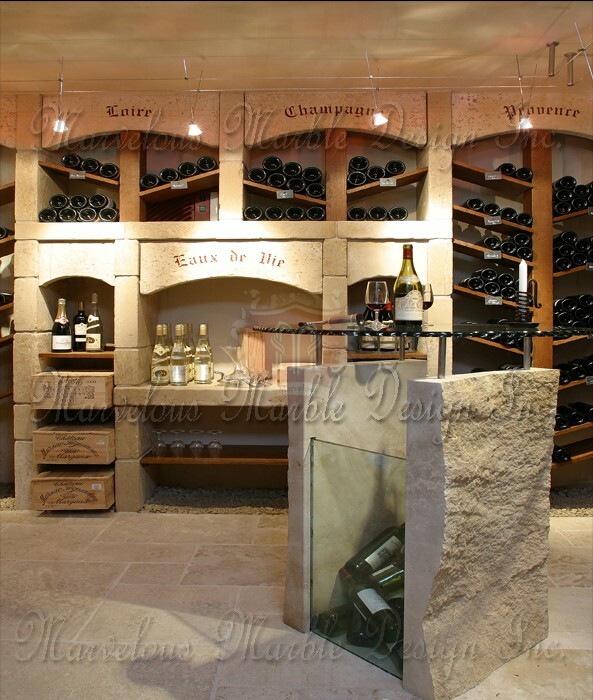 The design of this French limestone wine cellar racking is inspired by stone artisans of old who created the first cellars. 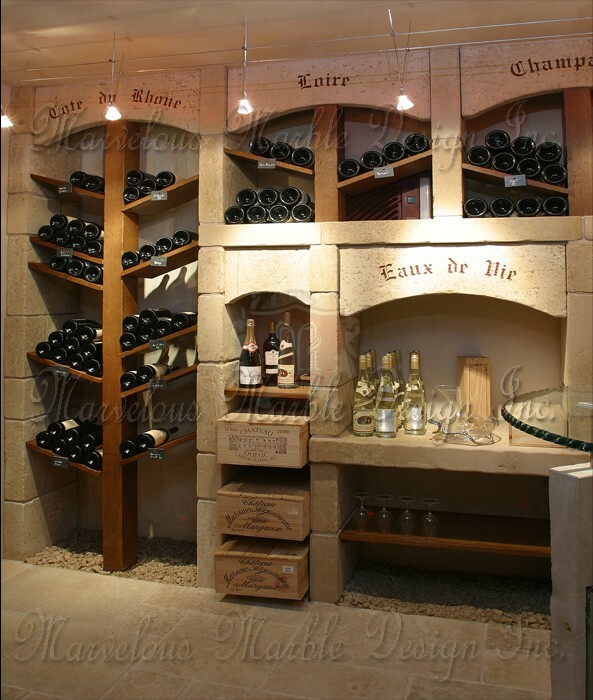 French limestone is preferred for this cellar racking because of its thermal properties. The stone is dense and of a superior quality. The density of the stone enables it to consistently maintain a cool temperature, providing a cool storage place for your wine. When the stone attains a temperature of about 55 degrees, it is able to radiate the cold for a long duration of time, helping to maintain a constant temperature in the wine cellar. Just what your wine needs. 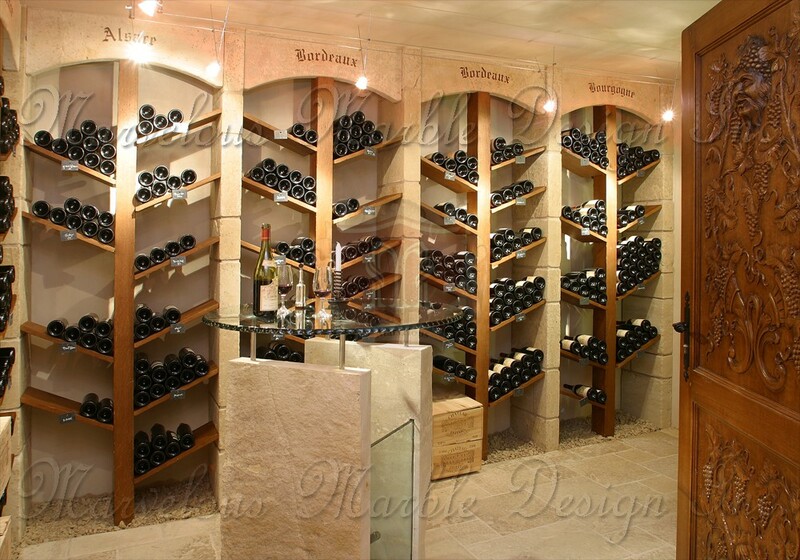 The wine cellar racking marries the beauty of pure, solid French limestone and functionality with the warmth of your custom built home. 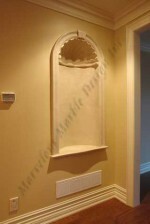 French limestone is an ornate material that is quite versatile and beautiful. The natural and discrete color of the stone enhances the aesthetic appeal of your space. 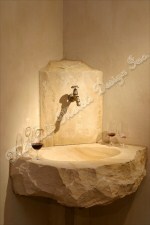 In addition the beauty that characterizes the stone also rubs off the components that are stored in the cellar. 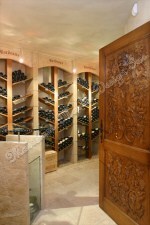 The cellar will add a polished touch to your wine collection. 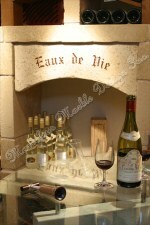 The limestone is also very strong with the ability to endure and support the weight of your wine collection. This is undoubtedly a practical solution for any serious wine connoisseur. It is the answer to your storage problems. 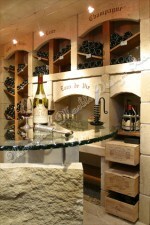 This custom wine cellar is suitable for your luxury home in Texas. 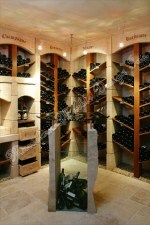 The cellar will create a truly aged setting in any room where your collection of premier bottles is stored. 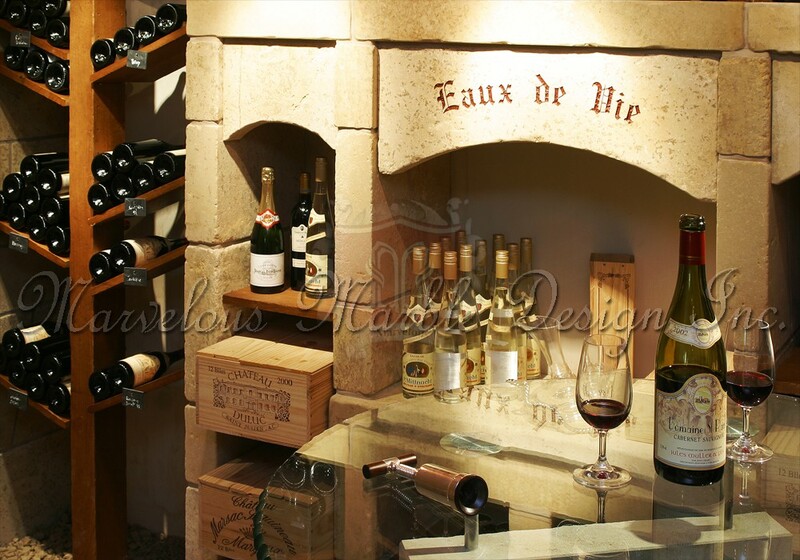 The beautiful design of the wine cellar racking mimics the caves that were the original wine cellars where our forefathers first stored their treasured collections of wines. The design brings to your custom built luxury home old age charm with a unique touch of sophistication. The striking mix of textures in one piece and the lovely patterns that have been taken from nature with a nice flow on them complete the design. 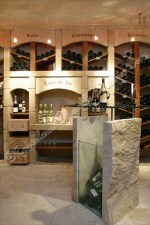 This premier French limestone wine cellar racking offers much more than the traditional wine cellar rack. This product offers an excellent value and it can be customized to blend in easily and perfectly with the décor in your home. It can be made in any size and shape as you may want it to suit your custom built home’s needs. 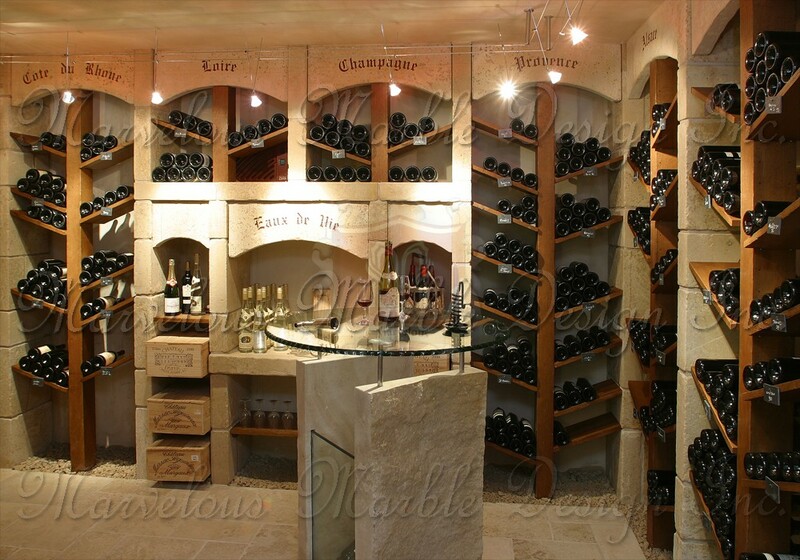 To learn more about the premier French limestone wine cellar racking, please call us at 1-888-272-0630, we are always happy to help. This custom wine caller raking can be made in any sizes and shape.